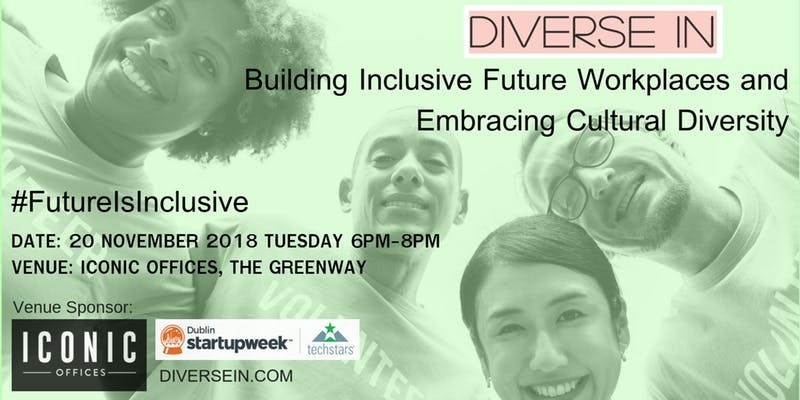 You are invited to Diversein.com: Global Diversity and Inclusion Embassy ! In this event, we will host Diversity Leaders from diffirent industries. Building Inclusive Future Workplaces and Embracing Cultural Diversity. 6pm – Registration, networking and refreshments. 6:35 – Deborah Somorin will moderate a Panel Discussion with diversity leaders, Sandra Healy, Susan Moran, and more.